Categories on Catching Scenarios Database that we could sort your lists by. Productivity: 1st, 2nd, or 3rd "string"? A "guarantee" on web site? Est. ave. one-way travel time hours - Bellingham, Wa. Approx. mile drive from Bellingham, Wa. Approx. driving miles from Everett, Wa. Approx. mileage from your town "as the crow flies"
Salt-water, or Stream (freshwater), or Still-water (freshwater)? 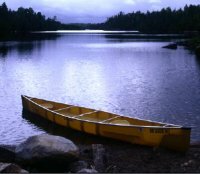 "Peak Window Period # of Days"
3 day trip: "EXTRA" COST/day/person (if 2 people)….guide, rod-fee, lodge, ferry, air-fare, etc. 7 day trip: "EXTRA" COST/day/person (if 2 people)….guide, rod-fee, lodge, ferry, air-fare, etc. Only (h)atchery fish, or at least some "(w)ild" fish? 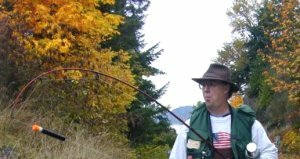 Challenging fly-fishing, due to often finicky, very desirable, usually big, fish? 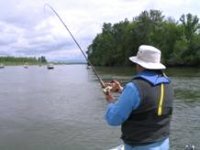 Fishing derby likely occurs during our peak window period? "Crowdedness Impact From Our Group": should show on calendar this time ("y" or "n")?